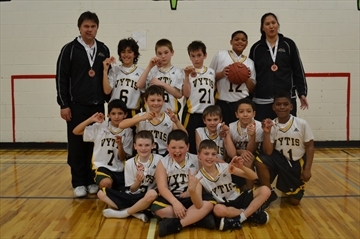 The Vytis U11 atom boys won provincial Division 5 bronze. Familiarity apparently breeds more than contempt. 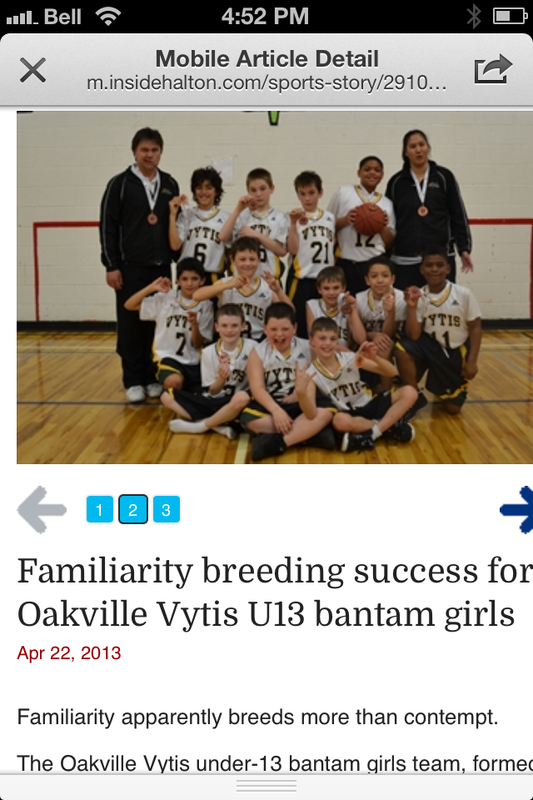 The Oakville Vytis under-13 bantam girls team, formed four years ago, is enjoying its most successful season ever. 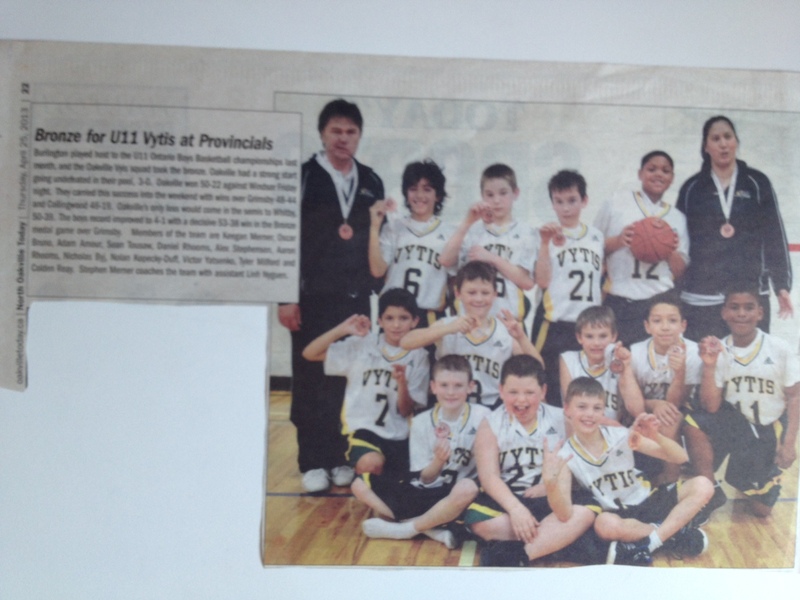 The team won the Division 2 title at the recent Ontario Basketball Association provincials in Windsor, a few weeks after claiming gold at a prestigious tournament hosted by Hamilton’s Blessed Sacrament. Vytis head coach Stephen Merner said the team’s improvement — winning Division 2 makes the Vytis the ninth-ranked bantam girls’ team in the province, up from 37th last year — is due to continuity. “This whole group lives on Third Line. They’re all friends. Most of them go to (neighbourhood elementary schools) St. Joan of Arc or Ecole Forest Trail,” Merner said. At provincials, the Vytis capped a 4-1 showing by defeating the Niagara Falls Red Raiders 41-35 in the final. Oakville sandwiched wins over Advantage Titans (33-30) and Transway-Wilson-Blackley (45-31) around a 29-23 loss to the London Ramblers during pool play. 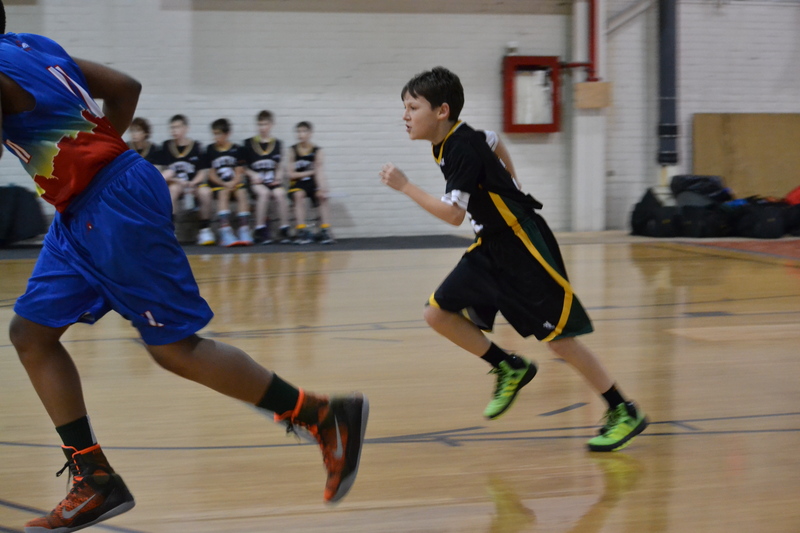 The Vytis silenced the Etobicoke Thunder 39-30 in the semis. In the Blessed Sacrament tournament, the Vytis lost its opening game before winning its next four — including a 55-45 win over Hamilton Transway-WB, the team that beat Oakville 42-39 in its opening game. Oakville’s other wins at the tournament came against the Advantage Titans (43-30), London Ramblers #1 (41-17) and Tecumseh Saints (41-35). Members of the U13 bantam girls Vytis are Natalie Bot, Lauren Montanari, Avery Murray, Kali Pocrnic, Alexa Duric, Jordan Merner, Nikolina Vrcic, Kristen Abraham, Lauren Cross, Bryn Rutherford and Fiorella Granda. Ken Cross and Kelly Griffiths are assistant coaches. A couple other Vytis teams have also won medals so far in Ontario Cup tournaments, which began last month and continue until the final weekend of May. The Vytis under-10 novice girls green team claimed the Division 3 title March 22-24 in Chatham, clinching gold with a 21-9 win over London Ramblers. Members of that team are Isabella Boyd, Chiara English, Abigail Kanalec, Madison Tu, Andrea Capannelli, Victoria DaSilva, Madison Anton, Victoria Percival, Hannah Vosper, Madeline McWilliam, Ashley Elliott, Katie Hartman and Jessica Dougall. Coaches are Alana Juzenas, Vic Juzenas and Julia Mulligan. 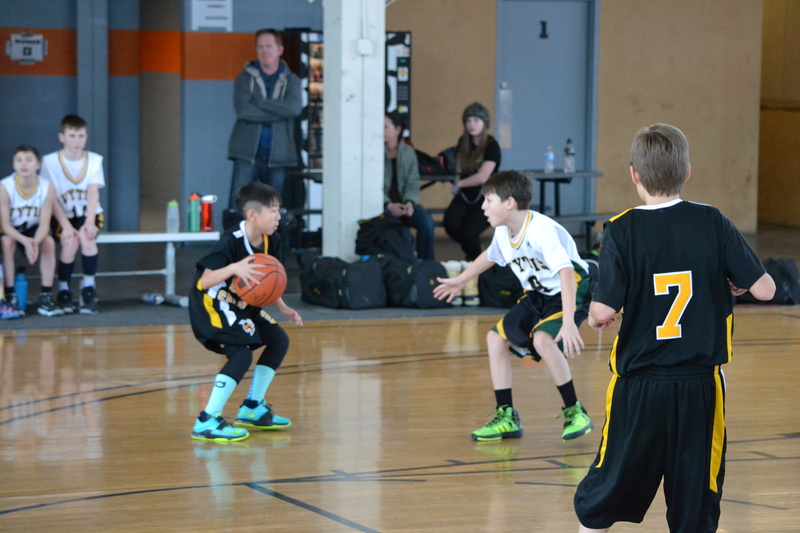 Another Vytis entry, the under-11 atom boys, claimed Division 5 bronze in Burlington April 5-7, downing Grimsby Basketball 53-38 in its final contest. 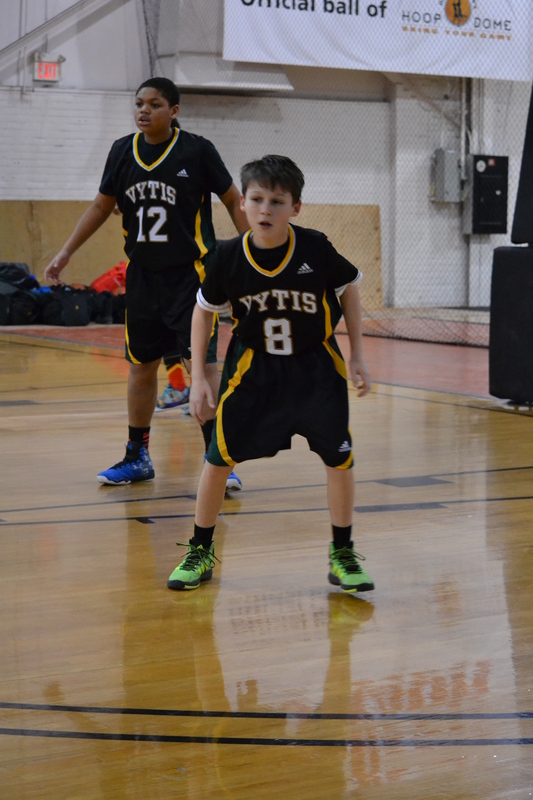 The Vytis won its first three games at the tournament before a 50-39 loss to Whitby in the semis cost Oakville a shot at gold. Keegan Merner, Oscar Bruno, Adam Amour, Sean Tousaw, Daniel Rhooms, Alex Stephenson, Aaron Rhooms, Nicholas Byj, Nolan Kopecky-Duff, Victor Yatsenko, Tyler Milford and Colden Reay contributed to the win. Merner also coaches the U11 team, assisted by Linh Nyguen. In other Vytis results at provincials, the under-14 major bantam girls lost the Division 5 bronze match on a buzzer-beater, falling 27-26 to Orillia April 12-14 in Ottawa, and the under-10 novice girls yellow team defeated Brantford CYO in the Division 4 consolation game. Two more Vytis teams, the U16 major midget girls and the U19 junior boys, are expected to contend for Division 1 titles at provincials. The U16 girls’championships will be held this weekend and the U19 tournament will be held May 24-26, both in Kitchener-Waterloo. Merner, also the president of the Vytis, is content with how the organization has fared in provincial competition but said there are greater priorities as well.